Apr 19 By Jen 39 Comments This post may contain affiliate links. 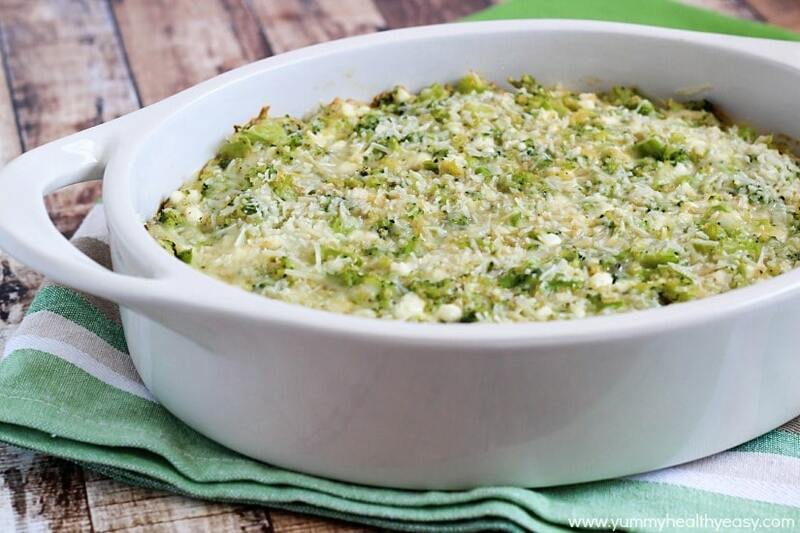 Broccoli Quinoa Casserole | creamy casserole loaded with healthy proteins and vegetables. 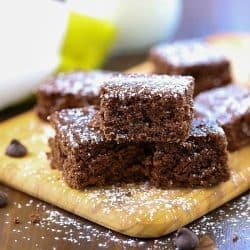 You’ll never guess it’s low calorie because it’s SO yummy! So, Easter is tomorrow. Are you ready?? I don’t have one single thing for my kids Easter baskets. Not one. I haven’t gone grocery shopping, and have only just started planning my Easter menu! Lame sauce. That’s okay, because that’s what Saturday’s are for, right?! I swear. Saturday’s are THE busiest day out of the whole week. So many errands to run + two baseball games all squished into one day! But I need to get my Peter Cottontail act together and get some basket goodies or my kids are not going to be very happy tomorrow morning! What do you like to make for Easter dinner? Or do you do a brunch? I usually like to make a ham, potato casserole, homemade rolls and fruit salad. 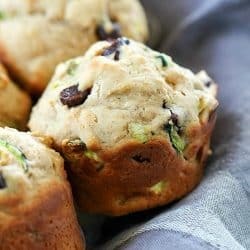 But maybe this Easter dinner will be a bit different… I mentioned last Saturday that I’m a part of the Eat Clean Challenge – a group of food bloggers, getting together and sharing new clean-eating recipes for you to try. 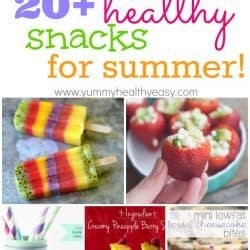 (There are a bunch of links below of more delicious clean-eating meal ideas!). Since I’ve been eating clean, I’m happier, I feel better, and I’ve lost a few inches! It’s really not that hard to eat clean. It’s just a matter of cutting out those things that are processed and simplifying your recipes. 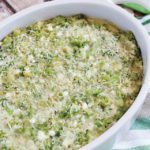 So I think I’ll change up Easter dinner this year and add this Broccoli Quinoa Casserole to the menu. It’s creamy and delicious but is low-fat, too! 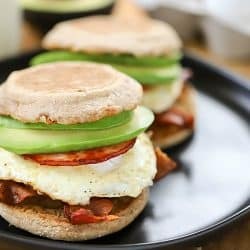 It has tons of protein from the quinoa, cottage cheese and eggs. Plus servings of veggies from the broccoli. 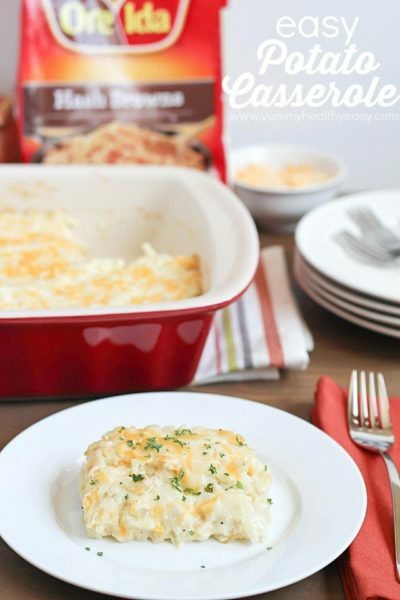 I love casseroles, especially casseroles that are healthy. 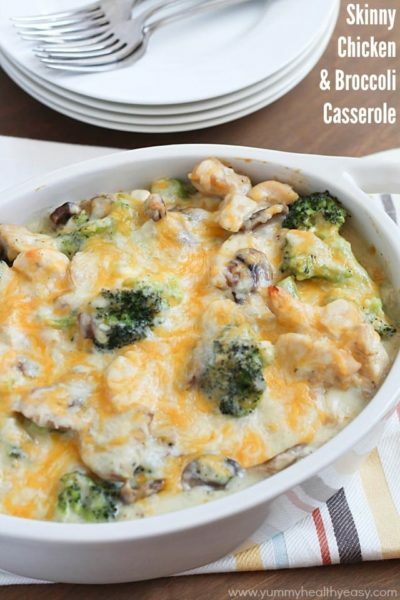 This healthy casserole would be great to add into your Easter menu or your weekly dinner menu! 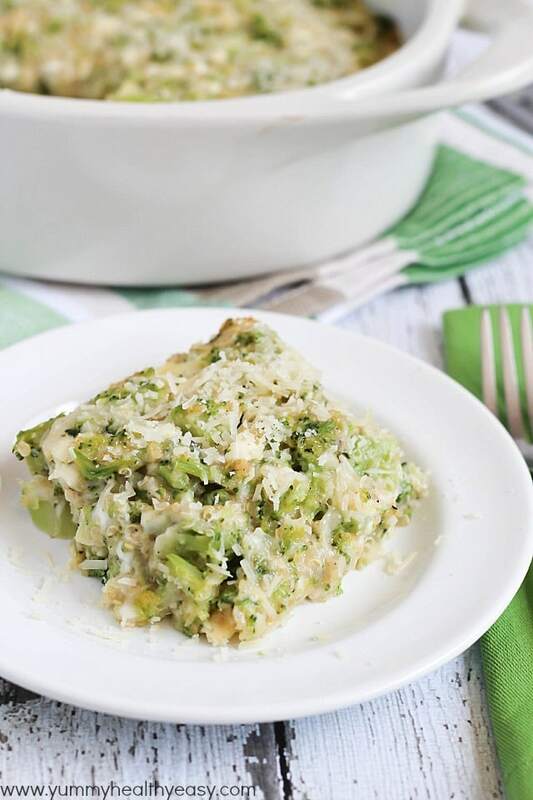 Creamy casserole loaded with healthy proteins and vegetables. Preheat oven to 350º F. Spray a 2-quart casserole dish with cooking spray. Heat broccoli according to package instructions. 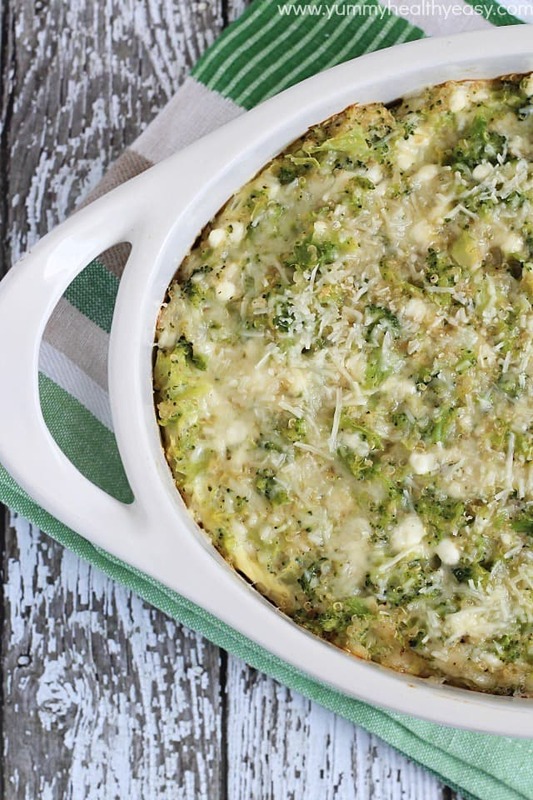 While broccoli is cooking, beat eggs and add in cooked quinoa, cottage cheese and flour. Season with salt and pepper. When broccoli is finished cooking, drain it well and fold it into quinoa mixture. Scoop mixture into prepared casserole dish. Bake in preheated oven for 30-35 minutes. 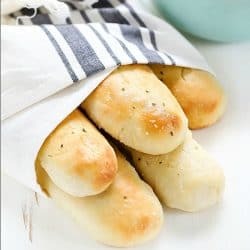 Sprinkle some parmesan on top during the last 5 minutes of baking. « Peanut Butter Banana Smoothie + Blendtec Giveaway! Yum! This looks so easy to put together. I might try making it as a main course some time by adding in some cooked chicken. Love the Parmesan cheese on top! Yes! I thought about adding in chicken too! It would be so yummy. 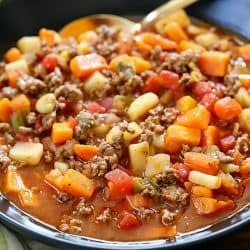 I am a sucker for a good casserole. Thanks for the sweet comment, Kristine! I may just add this to my Easter menu too! 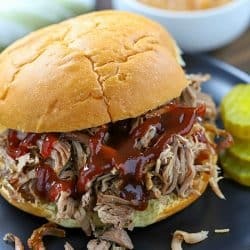 I have everything to make it and it looks delicious! You have to try it, Kim!! It is SO good! This looks delicious, Jen! Can’t wait to try it. What?? Your husband won’t eat broccoli?!! I bet you could sub it out for a veggie he likes! 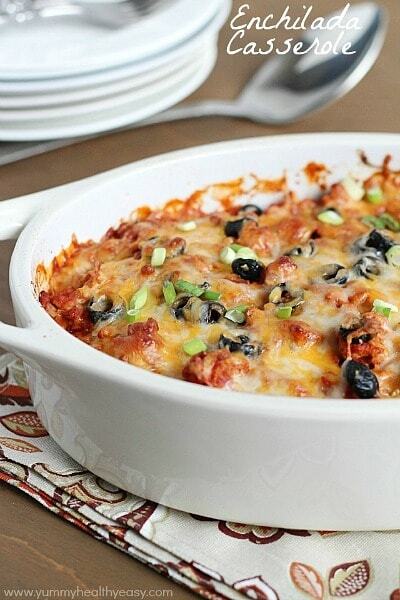 I wish we lived closer so I could make a big batch of this casserole and we could share it. 😉 It’s really good, even my older boys liked it! Thanks Andi! xo! This looks amazing! 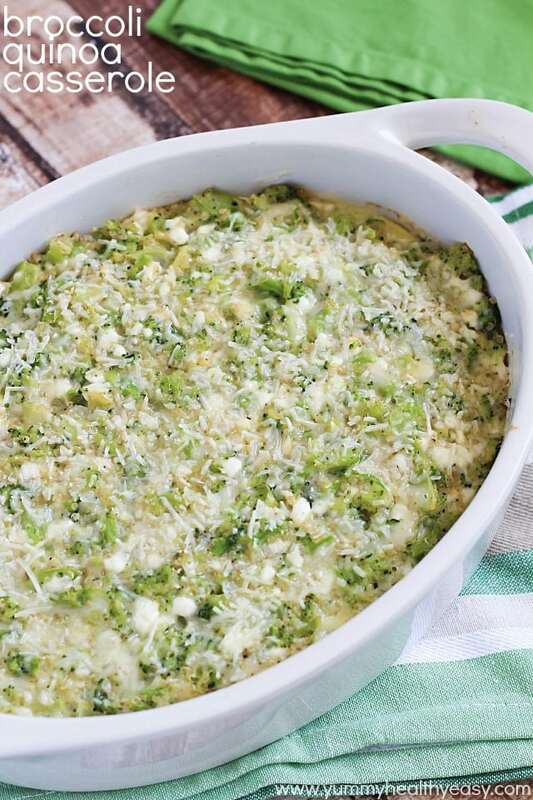 We love broccoli rice casserole. I think I may need to give this one a whirl! Pinning. Have a wonderful week! Thanks so much Nici!! You have a great week, too! xo! I am NEVER ready for the holiday until the night before!! 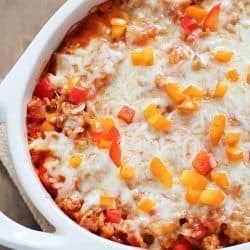 Luckily we don’t host Easter and my kids don’t have the crazy expectations they do for other holidays – lol 🙂 LOVE this casserole and I know it would have been a hit at our Easter celebration! Pinning! Looks yummy. 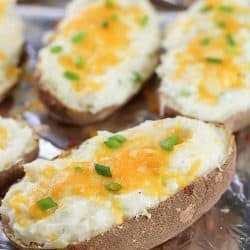 Want to try but have a quick question. Do you measure the quinoa when it is raw or cooked? Hi Jeanne! Measure the quinoa after it’s already been cooked. I usually cook a big batch and keep a tupperware in my fridge of cooked quinoa to add to recipes. Thanks for the comment! 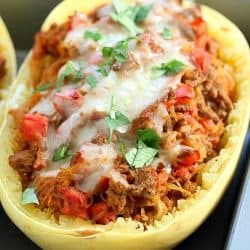 So, I made this for the first time last night and it was delicious! I’m not much of a cook, but have been trying to venture out lately and teach myself new, healthy recipes. 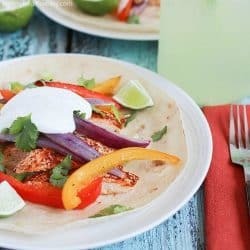 I added chicken to this so that it could be our dinner a couple of nights this week (single mom + full time job = not much time for cooking every evening). I brought it to work this morning and the chef here tried it, and came back for seconds. This is also my first time to use quinoa. I’ve had a package of it for a month or two, and have been afraid to use it because I just don’t know what it pairs well with. 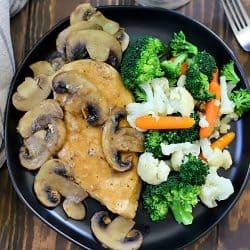 This was an excellent clean, nutritious, and quick dinner (and lunch!). Thanks so much for posting! Erin!! You just made my day! Well, my week actually, lol! Thank you so much for the sweet, sweet comment! 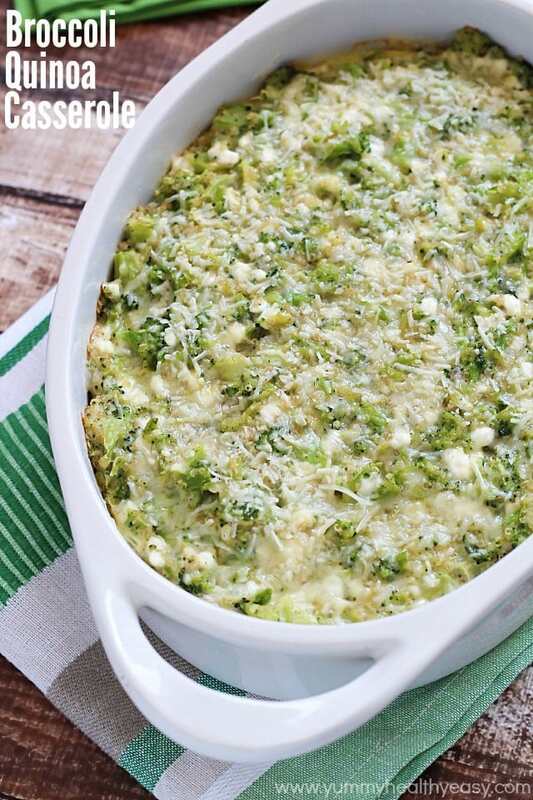 I am thrilled that you liked the Broccoli Quinoa Casserole! It’s one of our favorites. 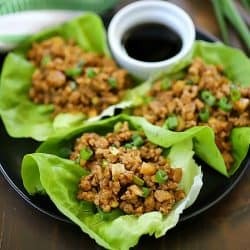 I hope you’ll try more of my recipes! Have a great week! I made this today, leaving out the flour and using Egg Beaters instead of real eggs. Also added turkey sausage crumbles and Italian spices. It was sooooo good I didn’t want to stop eating. Thanks for giving me another way to eat my beloved quinoa! Yay Beth!! I’m so happy you liked it! This looks soooo good! I wonder if you have tried with fresh broccoli? My kids aren’t much for mushy veggies-in fact they prefer raw-but when I do cook veggies I try to leave some crunch to it. Do you think if I mix in raw broccoli that it will leave some crunch? I haven’t tried it with fresh broccoli! The thing I love about using the frozen, is that it’s all chopped up into tiny pieces so there’s a lot of broccoli in each bite. It’s not soggy at all! If it were large chunks of broccoli, I probably wouldn’t do frozen but because it’s chopped, it works well. Let me know if you do try it with fresh and how it turns out. Thanks! I love what I’ve seen so far. Now a challenge: I have a fig tree covered with almost ripe figs. 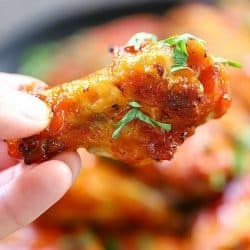 Can you help me with recipes & how to preserve them for later? I will get on the fig train and see if I can come up with some recipes for you, Holly! 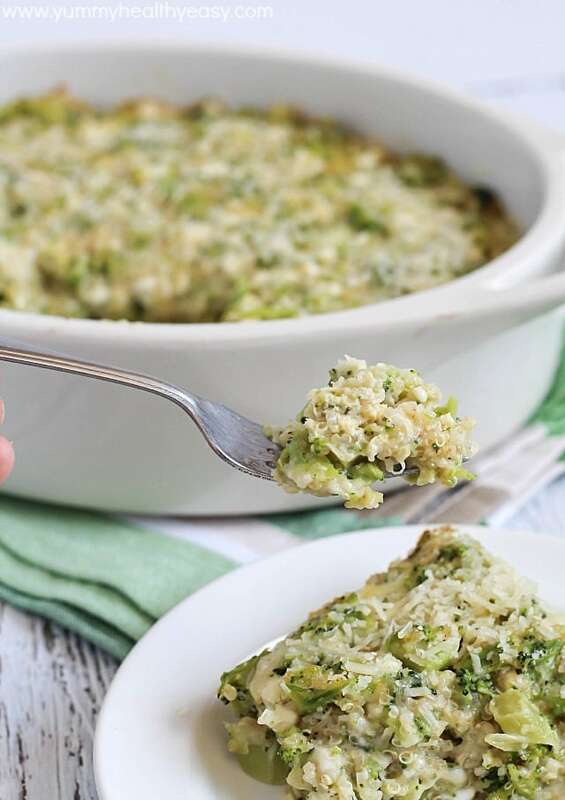 Any luck in freezing the Broccoli Quinoa Casserole? I haven’t tried it yet but I’m betting it would freeze just fine!